The Sian Ka’an Biosphere is home to some of the most breathtaking sights you can imagine, from the crystal clear turquoise waters of the Caribbean Sea which lap upon the fine white sand of the beaches to seemingly endless mangrove forests. Spending your vacation amongst this stunning scenery is sure to make your well-deserved getaway to one of Mexico’s most exclusive areas even more magical. With the promise of distinctive activities on offer that are designed to create the most incredible vacation memories possible, your visit to the Sian Ka’an Biosphere will no doubt be spectacular. Rather than planning a stay in more predictable locations such as Playa del Carmen and Cancun, you can bask in the luxurious seclusion of one of the Yucatan Peninsula’s most exclusive areas. You can look forward to a splendid variety of distinctive adventures when you travel to the Sian Ka’an Biosphere, which is one of the most awe-inspiring nature reserves in all of Mexico and certainly a highlight in the state of Quintana Roo. You can plan a scuba diving adventure at one of the planet’s most diversified coral reefs, the Great Mesoamerican Reef. It is the world’s longest reef and it contains an impressive number of sites for recreational diving. Although a permit is required for diving within the biosphere, there is plenty of opportunity for other adventures under the sea. Explore offshore where you will surely enjoy up-close encounters with an abundance of exotic marine life and schools of fish. 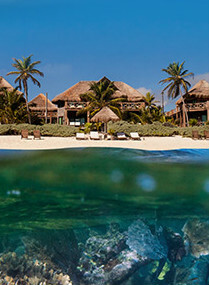 Guests at Sian Ka’an Village have access to two wonderful dive sites that are located nearby. 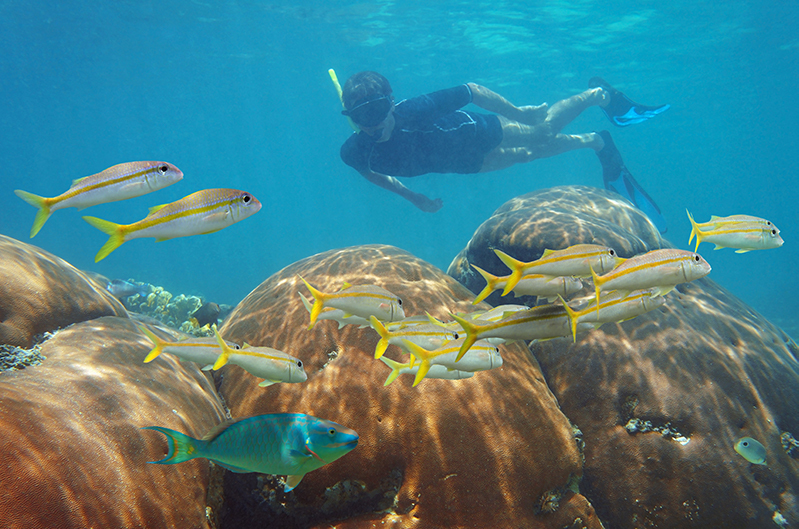 First up is Mahahual, where just meters from the shore, you will discover vivid marine life to admire. What’s more, it is situated near the enchanting caves and caverns of the Xcalak Reef National Park. As you travel further south, you will reach Banco Chinchorro where the fascinating local history will leave you spellbound. This irresistible dive site is shrouded in mystery thanks to the European shipwrecks that took place there dating back centuries. You will also have the chance to swim with American crocodiles while visiting Banco Chinchorro. Sian Ka’an vacations that include diving are some of the most memorable trips available today, so don’t miss out on this captivating activity when you visit! Another terrific activity to experience during your stay at the Sian Ka’an Biosphere is a stop at the nearby Muyil archaeological ruins. Allow the inspiring surroundings of this ancient Mayan city to spark your imagination as you picture it during its prosperous trading era. Amazingly, the ruins are often sparsely visited, which means you may just have the run of the place, letting you take in the sights and sounds of this ancient city undisturbed. 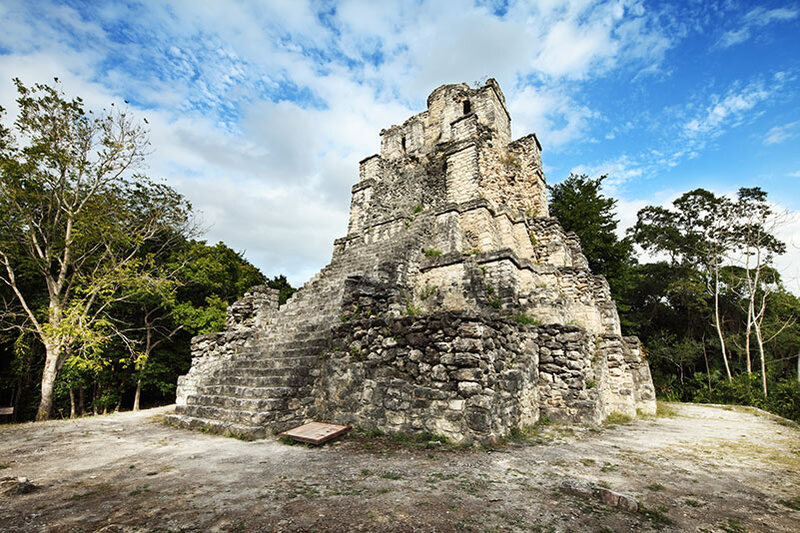 One of the region’s largest and most famous historical sites is the Mayan ruins in Tulum, which is situated along the coastline about two hours away from the Sian Ka’an Village. Roughly one hour south of the Sian Ka’an Village sits the charming town of Mahahual where you can discover its welcoming, unhurried pace. Walk along the streets as you take in the culture of an enchanting Mexican town, making stops for souvenirs and traditional Mexican crafts in the shops or perhaps a meal or snack bursting with authentic local flavor. 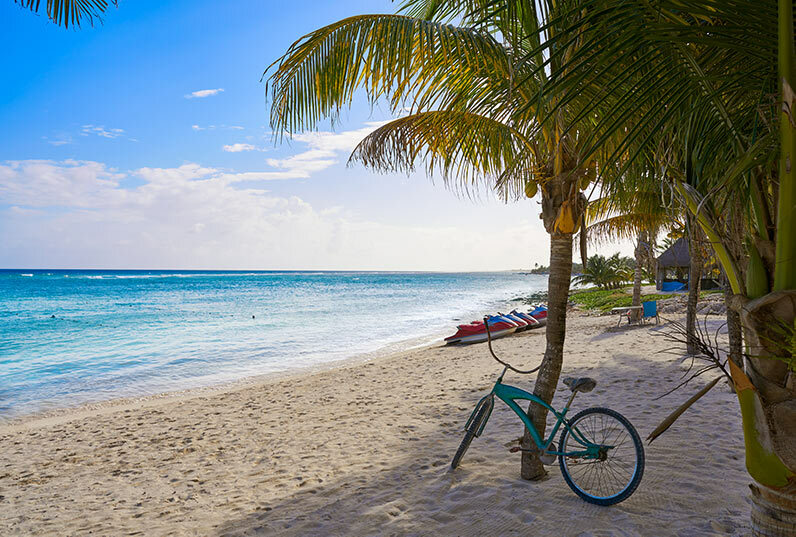 Thanks to the shallow waters and breathtaking stretches of sand, Mahahual is a splendid place to spend some time at the beach, too. Since the Sian Ka’an Biosphere is a nationally protected reserve, several of the activities that take place within it are regulated by officials who are dedicated to making sure the biodiversity and natural beauty of the area is protected for generations to come. 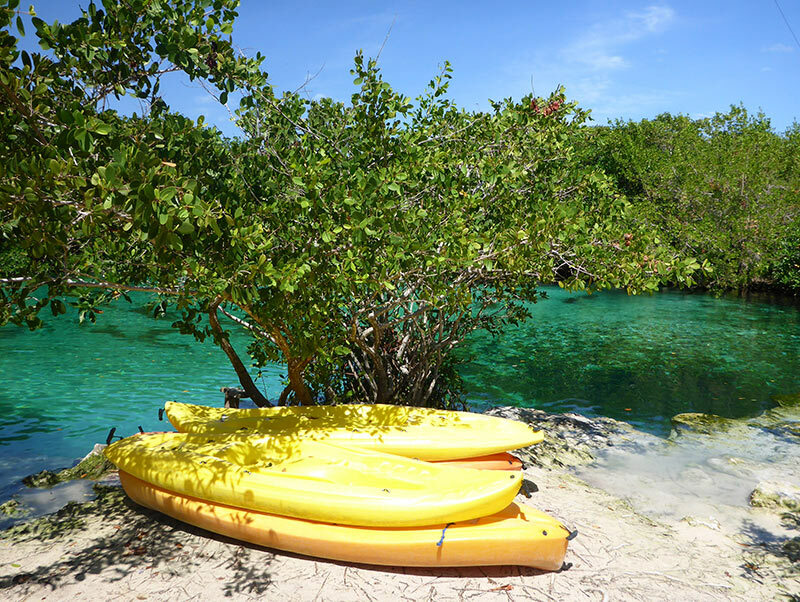 That being said, you can get to know the beaches as well as the jungle of the preserve, whether you are exploring on foot, floating in a canoe as you travel through the narrow Mayan canals, or by boat as you gaze upon the sights from the water. Furthermore, taking part in some of the activities offered in the area will give you a unique perspective on the region. Sian Ka’an vacations are definitely worthy of your bucket list, so start planning your trip now!